Is the Trump Administration Offering to End Sudan’s Isolation for the Wrong Reasons? Sudanese President Omar al-Bashir, right, at the Great Hall of the People in Beijing, Sept. 2, 2018 (Pool photo by Nicolas Asfouri via AP Images). Earlier this month, on Nov. 7, the State Department announced what appeared to be a significant step forward in relations between the United States and Sudan. A spokesperson said the U.S. would consider removing Sudan from its State Sponsors of Terrorism list if it helps Washington advance some of its foreign policy priorities in Africa and beyond—including cooperating on counterterrorism, ending Sudan’s internal conflicts and isolating North Korea. 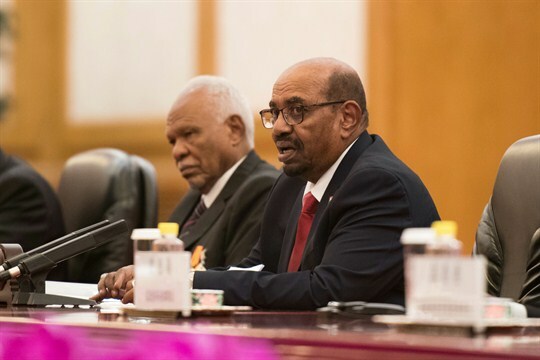 The statement also called on Sudan to improve its human rights record, respect religious freedoms and meet legal claims related to its previous support of terrorist attacks against American citizens. Removal of the terrorism sponsor designation has long been Sudan’s top priority in Washington because it would potentially unlock access to much-needed U.S. development assistance and international debt relief.